Final Storm on Sale - 30% off! Thumb candy for less than the cost of an energy drink! 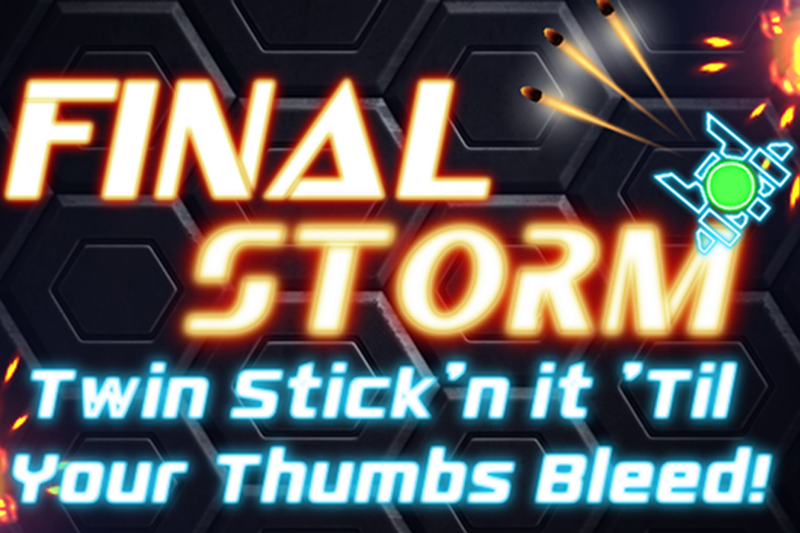 Final Storm is an addictive top down twin-stick shooter inspired by the classics like Robotron and Geometry Wars. It seems simple enough when you begin playing. A few enemies erupt from spawn points and you fly around and vanquish them with your unquestionably awesome trigger finger. But then you're greeted by another wave of ships that want to take you down. Each wave sends more havoc your way in both numbers and skill. Luckily the arena provides you precious power-ups like shields, multi-shot, freeze bombs and more! How long can you survive? Can you unlock all 15 achievements?